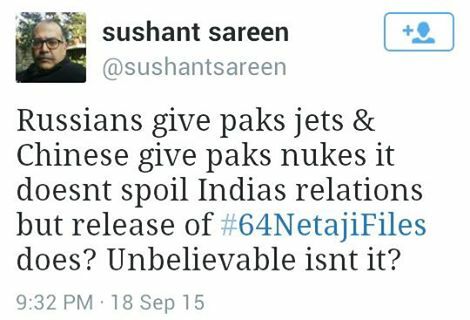 Russians can give Pakistan jets and Chinese can give Pakistan nukes. Russia, China and India can keep creating hurdles for India's security council seat. None of it creates any rift in diplomatic ties. But releasing Netaji files and telling what happened to the one of the most important historical figures of India, carries the risk of diplomatic rift. Apparently, like always, India is carrying all the load of these ties.